Tough, slow and frustrating. I’d rather watch “What Did The Fox Say?” for two hours than endure this over-hyped ensemble piece again. Watching this film made me feel like I had been in a wrestling match. Tired, achy, drained and frustrated. When I first saw the trailers, I had high hopes. I went in ready to see a trio of talented actors take on what was potentially a game changer. To be honest, it still was BUT the hype really did hinder! So what’s it all about? 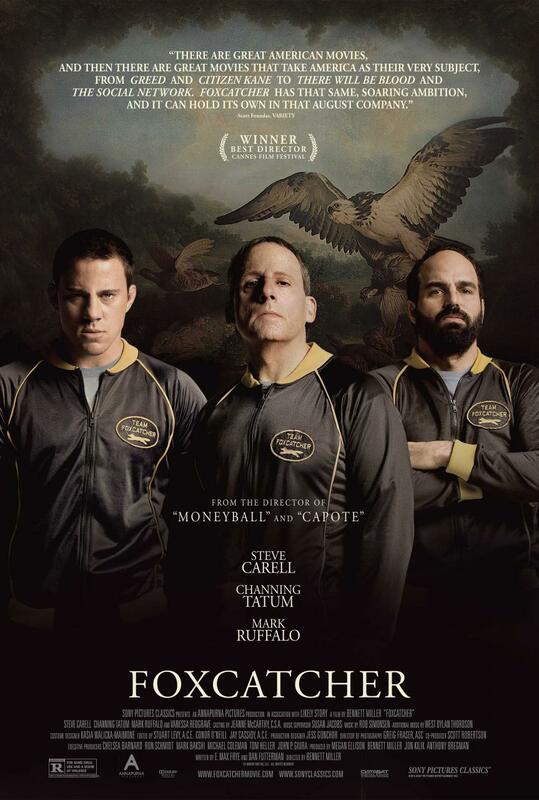 The greatest Olympic Wrestling Champion brother team (Mark Ruffalo and Channing Tatum) joins Team Foxcatcher led by multimillionaire sponsor John E. du Pont (Carrell) as they train for the 1988 games in Seoul – a union that leads to unlikely circumstances. Channing Tatum was very good as Mark Schultz. It has been a strange but interesting transition for the actor. I remember watching Fighting and thinking to myself, “Why is everyone going on about this guy?” An inaudible accent. A slacker posture. Was he trying to do a really bad Stallone impression? Is this a joke? BUT he has progressed so far from that. Appearing in a range of films from Side Effects to 22 Jump Street. And I have had to eat my words. The make-up and prosthetics certainly changed his face but Tatum embraces the character perfectly. His posture. His caveman dragging of the heels. Little things that make a big difference. You feel for Schultz as he attempts to escape from living in his brother’s shadow. Feeding off what little scraps his brother David gives him. Metaphorically, of course. Giving him school visits that he doesn’t want to do, etc. The sparring sequence was a perfect example of the brewing tension between the two brothers. A simple training exercise soon becomes a full-on brawl. Subtly, slow burning but tense. I expected more of this. Instead, I just got slow, slow, slow! Mark Ruffalo was fantastic but I’ve always rated him as an actor and felt he had that versatility. There wasn’t enough of him and I can see why he has earned that Best Supporting nod. He lifts every scene he is in and works really well with Tatum. Steve Carrell was fantastic. The prosthetic certainly added to his creepy demeanour but his performance made all the difference. I couldn’t believe it was him. His presence haunts every frame. Carrell has certainly proved that he can adapt and adapt well. If Carrell can keep this up, it will be a while before he returns to the comedy circuit. If Norman Bates was a multimillionaire wrestling coach, then you would have an accurate depiction of duPont. Desperately seeking fame from his wrestling team and recognition from his reclusive mother. Vanessa Redgrave was good in the small part she had. Sienna Miller . . . well, she had the easiest gig going. Anyone could have played her to deliver the three unmemorable lines of dialogue. I didn’t even realise until the end of the film that Anthony Michael Hall (The Breakfast Club) was DuPont’s bodyguard. It really is a SLOW burner. If you have the patience then you may be rewarded. BUT for me, the reward just wasn’t enough for the 129 minute length. I’m prepared to endure with a film but the journey should be worth it. I could feel my eyes wondering to the little hands on my watch. The slow talking, the endless staring and fox catching montages. I can understand the point of the imagery and the commentary BUT it seemed to go on. Tatum’s breakdown was an unexpected but brilliantly acted scene. The pent up aggression released on one poor hotel room. To be honest, I was a little lost in what Bennett Miller was trying to do with Foxcatcher. In one instance it felt like he was trying to make a commentary on the decaying ideal of the American dream; greed, money and power. BUT on the other hand, it seemed like an examination but on who? The paranoid mummy’s boy millionaire? The fame seeking wrestler? His profit driven brother? Schultz’s descent into darkness was a mixed bag. Mind-numbingly droll in one instant, tense and strange the next. The hold that duPont held over him was creepy. His play thing. A new toy. The impromptu wrestling sessions in the middle of the night. DuPont’s constant craving for appraisal. A relentlessly long scene in which duPont keeps making Schultz pronounce the same phrase over and over to get it right was a perfect example of his relentless ego BUT it also bored the hell out of me. I got it in 10 seconds NOT 10 minutes! “Philanthropist, philateler and ornithologist, Philanthropist, philateler and ornithologist” again and again. It didn’t help that the film was about wrestling. The fight sequences were okay BUT if they haven’t got The Rock, Stone Cold Steve Austin or a steel chair then it’s going to be a little flat (What?). The last 20 minutes I did find myself more engaged as the tension mounted. A cat and mouse game for Schultz’s sanity finally turned the heat up on this slow cooker. The closing moments finally got my attention but was it too little, too late? This could have been cut by 30-45 minutes and been just as effective for it. The finale may have been shocking and sombre viewing BUT it just wasn’t enough. Miller was responsible for Capote. A film I felt was incredibly overhyped. Hoffmann was outstanding but the film itself just wavered along. Overlong and overhyped. (See where I’m going). 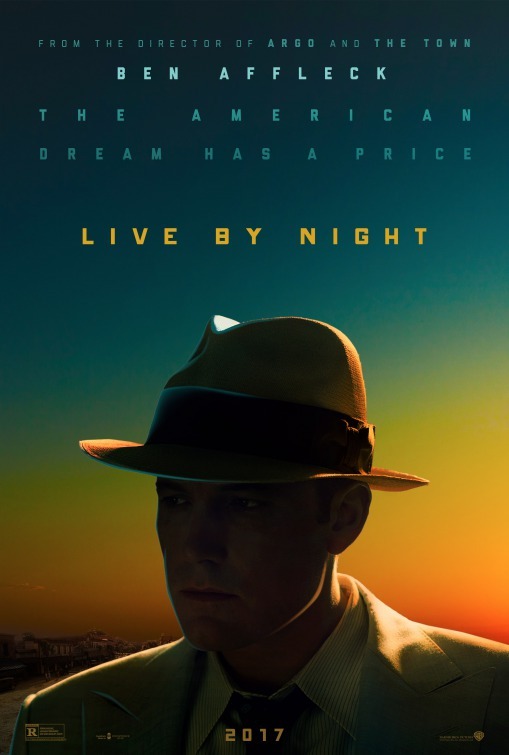 Bennett Miller certainly delivered a story of jealousy, paranoia and greed with some fantastic performances that justify their Oscar nominations BUT pace, tension and story felt like mere afterthoughts.